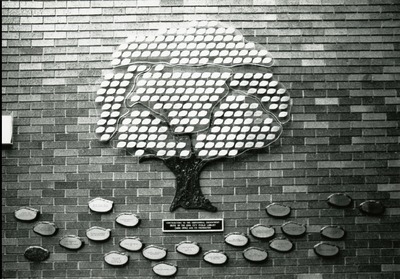 Photograph features a recognition tree made of donor plaques. To be recognized on a leaf on the tree, individuals or service organizations contribute $1,000 and businesses $2,000 to the endowment fund. The boulders under the tree recognize gifts of $10,000 and up and planned gifts of $25,000 and up. The principal is invested and the interest earned used to purchase library materials. 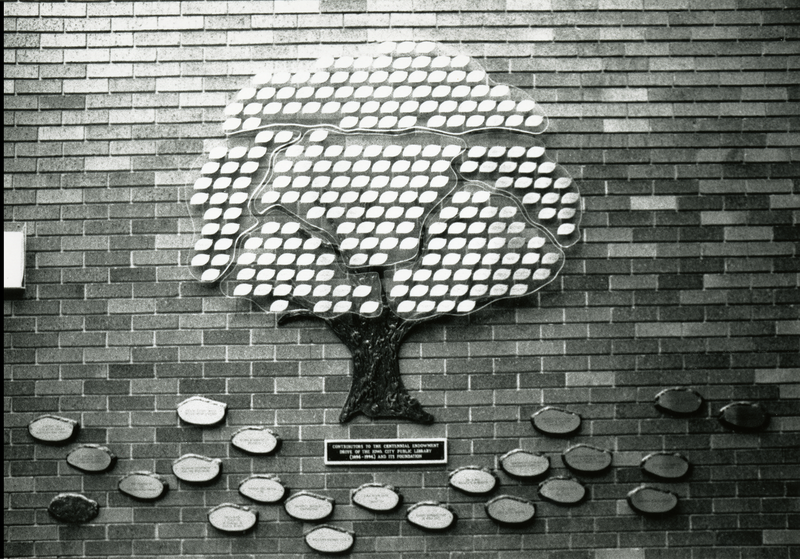 Iowa City Public Library, “The Donor Tree,” Iowa City Public Library, accessed April 24, 2019, http://history.icpl.org/items/show/2719.